0491912269Get a phone number Why this phone number ? 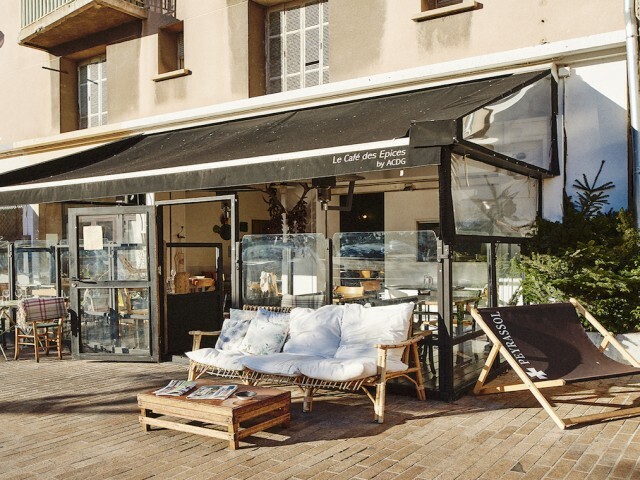 At Café des Épices, an almost gourmet pocket bistro, chef Arnaud Caton de Grammont offers creative cuisine based on market produce. The menu offers a traditional cuisine, with spices from here and elsewhere, to enjoy in the small room, or on the beautiful terrace in the shade of olive trees. Direction Marseille, a few meters from the Old Port.